My husband and I always have loved to read. So it’s no surprise that our three boys are readers, too. Every summer, each one of us has his or her nose in a book, especially when we go on vacation. But this summer, for the first time, our boys are in different places, and we decided that reading the same book would be a way to keep us connected. It was easy to agree that we’d each read the same book. The hard part was agreeing on a book. But since summer has already started, we decided we needed to get started with something. Now we’re each reading Let the Great World Spin by Colum McCann – in paperback for two of us, and on the Kindle for the other three. When we do manage to get together this summer, we’ll talk about the book, but, as most book clubs go, the discussion probably will go in all kinds of other directions. Our kids are older – 24, 21 and almost 17 – and their favorite book genres are literary fiction and the classics. My husband and I lean more toward mysteries and suspense. But we decided to let our kids take the lead in choosing the title for our first family summer book club. They’re more likely to read something that they’re interested in, and my husband and I will have the opportunity to learn from our kids – as well as to stay connected. 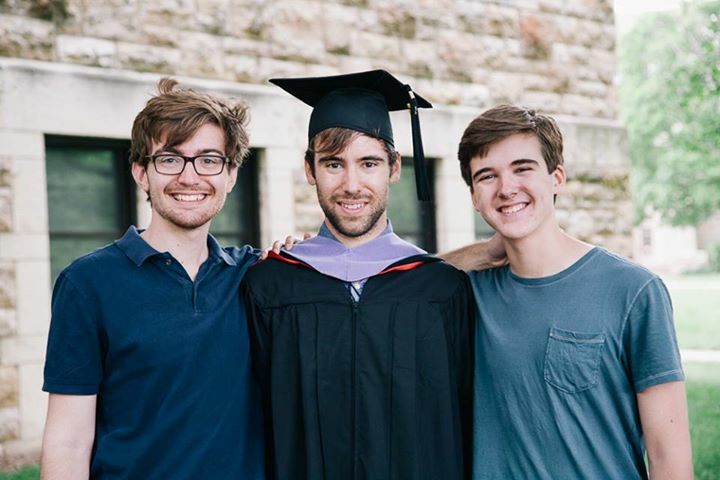 Even though two of our sons are a hundred miles – or more – away from home now, we can still be together whenever we read, because we’re all on the same page, so to speak. Your kids are never too young – or too old – to start a family book club. If you’ve read The End of Your Life Book Club, you already know that. Choose something that’s either available in multiple copies at the library, or that you can get in paperback or on an e-reader – you don’t have to spend a lot of money, but it’s important that each family member has his or her own copy of the chosen title. If your kids have a big gap in age – or in reading levels – encourage your children to read aloud together. You also could turn your book club into meeting to read the book out loud to one another. Of course, participation in the family book club should always be optional. Reluctant readers and those who proclaim that books are “boring” (more often than not, they go hand-in-hand) may say they’re not interested. But once they see other people in their family reading – and getting together to talk about reading – they may change their minds, especially if you let them choose the next book selection. There are so many great books out there – too many to read in a lifetime of summers – but you only have to choose one to start your family book club. I’d love to hear about your experiences – and recommended titles. After all, there’s still plenty of summer left for my family to read! Previous post: Do Kids Tattle in Japan? Cowboy Car’s First School Visit, Plus a GoodReads Giveaway! The Cat’s Almost Out of the Bag! Copyright © 2012–2014 by Jeanie Ransom, All Rights Reserved.